On order to combat these allergy related skin damages. 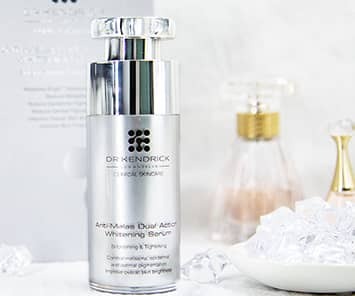 U.S. anti-aging physician DR KENDRICK spend years to formulate Allergy Resolution and finally comes Intensive Moisture Shield. 1) Decrease redness following a UV or a mechanical aggression ( such as shaving, pinching or other manipulation of the skin. 4) Inflammation modulation by “turning off the key allergiv signals in your skin” thus prevent any skin damages from allergic reaction. Apply twice daily in the morning and night. After cleansing the face, gently apply an appropriate amount on the face with massage.